Ford reported a loss of more than $14billion in 2008 at the height of the financial crisis. Like many businesses at the time it was caught off guard by the speed and severity of the collapse. However the US car industry had been under pressure from overseas competition for many years leading up to that point. Their strategy of focusing on big SUVs and Trucks was unwound quickly by a consumer stung by high gas prices and the economic collapse. Fuel economy had suddenly risen up the list of consumer preferences. Ford responded quickly by placing bets on smaller cars like the new Ford Focus and Ford Fiesta, the Focus recently becoming the number one selling car in the world. 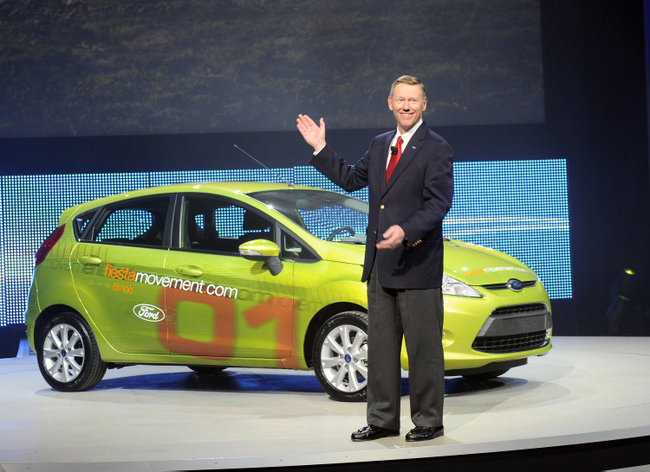 A major part of the Ford turnaround was CEO, Allan Mulally’s strategy known as “One Ford” launched in 2006 when he took the reigns. By many accounts, toxic divisions in the executive ranks were ripping Ford apart. Like so many political partisans, they cared little for the success of the company — only for winning themselves and beating their internal opponents. The silos that developed competed in a way that was destroying employee engagement and dragging the company into the abyss. Mulally even insisted that all workers be issued laminated cards with the turnaround motto: “One Ford, One Team, One Plan, One Goal.” He recognized the need for Ford to focus on a common constituent, the customer, and stop the internal naval gazing and drive towards this common goal. Customer centric companies rally around a single goal, creating maximum value for their customers. This focus eliminates silos and requires high levels of cross functional collaboration, transparency and accountability. Last year the company earned $8.8 billion, the outcome of the strong leadership of Mulally and his ability to transform Ford’s culture to once again focus on creating the best value cars in the world. This entry was posted in Cross-functional Collaboration, Culture Change and Social Media, Customer Centric Culture, Customer Centric Leadership, Customer-Centricity, Market Culture in Action, Ownership, Uncategorized and tagged ford's turnaround; customer centric culture; cross functional collaboration; marketculture. Bookmark the permalink.